* My blog won't be a substitute for RL therapy/counseling, of course, nor for appropriate RL help of any kind. I myself attend counseling, and it's given me some wonderful tools to deal with stress. * This is not a place to just vent about one's life. Sharing an anecdote or two is fine, but persistent negativity will be directed to the Bad and the Ugly forum or an Apologies & Absences thread. 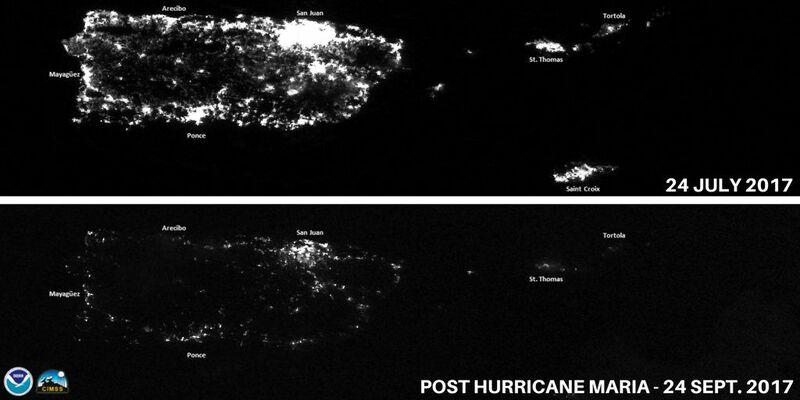 - Three and a half million American Citizens - nearly all without electricity or access to communication. - Dozens of our own website's members. When Maria's eyewall passed over the island, over 60,000 Puerto Ricans were still without power from Irma. Media attention to hurricane Maria has been comparatively tepid, as has the destruction it wrought on Puerto Rico. More attention is given to the island by British media than American. Now, the mayor of San Juan has said that the situation is approaching a genocide. [floatright][img width=640 padding=5]https://elliquiy.com/pics/eclipsehorizon.png[/img][/floatright] This was 11:34 AM. Like every annular and significant partial eclipse, the world noticeably fades and cools beforehand. It gets eerily dark even though one cannot tell the Sun itself has dimmed. The only clue is in the shadows made by dense leaves - the sun's reflection off of water and metal does not appear to change. Then, in seconds, the day collapses into twilight. The Sun winks out, revoking the last of its warmth. Birds make their final, confused chirps before going silent. The wind changes, and every horizon glows like sunset. I do not know if there is a word to describe the alien emotion that accompanies this moment. A sense that reality has transformed. If you are in the United States, today (the twelfth) you will likely be hearing about Network Neutrality from many places on the web. I wrote about this before, but I would be remiss not to speak on it again. If you are looking for the facts about Network Neutrality, please read that post. Again, it is important to understand even if you are not American. It has been fascinating watching this come together. My hope is that people will understand and accept that this day is a sincere effort, by understanding individuals who wish to secure a better future for this country. There are companies participating today that have far more to lose than to gain from doing so, except perhaps being able to look their most talented employees in the eye. Welcome to my blog, and thank you for reading. As the title states, this blog will be about my wish for a second child. About my journey to make this wish come true. First of, I would like to tell you a little something about me. I am currently 29 years young, married to a wonderful man (who I met through here, great, right? ), and mother of a wonderful 3 year old son. (Well, almost 3, but lets just say he's 3). I am so very grateful to have these two men in my life and I love them both to bits (even if they drive me nuts sometimes ). Our son is a true miracle, actually. Why? Well, because I have Turner's Syndrome and should be infertile. So the fact that he exists is truly a miracle. Join me as I take on the insane project of liveblogging every currently released Doctor Who episode! This will also include the Big Finish expanded universe. I cannot liveblog a book, but I will be reviewing the Virgin New Adventures and Eighth Doctor Novels when I get to those. Yes, I think it will be worth it. Please note that there will be spoilers in this thread. It’s the quiet moments that are truly dangerous. That is when the doubts come calling. Into the places where I once found solace and peace. Waking me from my sleep. The premonition of a nameless doom. You will no longer look at me. On that day, I know, my soul will be torn to pieces. Just to get you to look at me. I will remember the way you looked at me.